I have been a lifelong fan and reader of James Patterson's novels aimed at adults, but never really thought my kids would like to read a "Patterson" title. That all changed when I downloaded Treasure Hunters for my children to listen to in the car. They are hooked! When we got home, they begged me to stay in the car so they could finish up the chapter we were on. After it was finished, they ran inside to throw the bonus PDF of illustrations in the computer and couldn't stop talking about it. It is a rare occasion when my kids get that excited about anything, especially an audiobook. As a parent, it is great when your kids are quiet in the car, but even better when their attention is being kept by a book. On a personal level, I found myself being drawn in by the story and mystery as well! I like the idea of kids taking some responsibility for themselves for once! 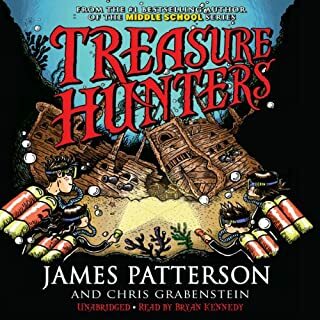 I highly recommend TREASURE HUNTERS to all kids and parents alike! WONDERFUL NEW NARRATOR! Worth the wait!! This new recording is wonderful. I listened to a bit of the earlier edition, which just didn?? ?t do this marvelous storytelling justice. 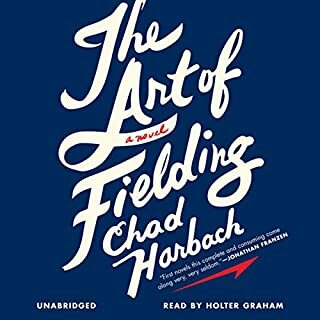 Holter Graham has read some of my favorite audiobooks over the years, and The Art of Fielding has instantly become one of them. The characters Harbach has created seem real ??? I found myself holding my breath at tense moments, impatient to find out their fates. The plot was constantly surprising and very enjoyable. I highly recommend The Art of Fielding, one of my favorite titles of 2011. 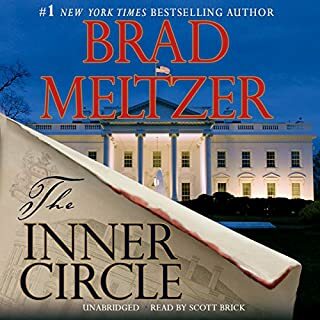 I was thrilled to see that one of my favorite authors was paired with one of the best narrators in the business and INNER CIRCLE didn't disappoint. This high quality production was enjoyable, entertaining and kept me on the edge of my seat. If you're a fan of Brad's new show, DECODED, you'll love listening to this audiobook. More Meltzer, please! I originally planned to buy the hardcover the moment it hit stores - I'm a huge Stones fan. But I am really glad I heard about the audiobook, because Keith's storytelling really lends itself to the listenting experience. I'm only 4 hours in, but Johnny Depp's performance is pitch-perfect. He's never over the top - you feel like he really "gets" Keith in ways most people wouldn't. 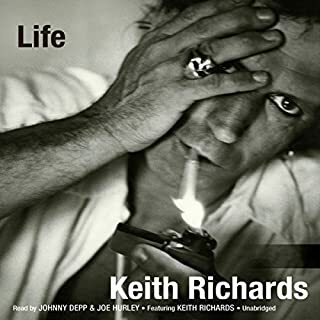 I also took a listen to Keith's part at the end and could really hear how passionate he is about telling his story - what an amazing life. I'm absolutely certain I'll buy the hardcover to make my library complete, but I'm so glad I took the chance to hear it first. I think the amazing tales are going to stick with me a long time - what a privilege it is to get to hear the intimate, behind-the-scenes stories told by the one who really lived it. The bonus PDF of pictures is great as well - you feel like you're getting a peek into Keith's personal photo album.